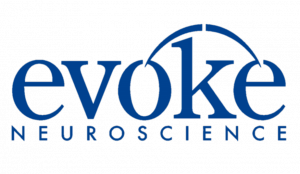 Evoke Neuroscience has been selected to present its eVox® System, the FDA-cleared device that aids in diagnosis of memory loss, at ROTH Capital Conference. NEW YORK, NY, USA, March 15, 2019 /EINPresswire.com/ -- Evoke Neuroscience1 announces it has been selected to present to the attendees of this year’s ROTH Capital Conference on March 18 in Orange County, California. Evoke will present its eVox® System2, the FDA-cleared device that aids physicians in the diagnosis of memory loss and other cognitive disorders, to a diverse group of clinicians, investors, and healthcare industry professionals. Evoke has been recognized for its work to accelerate the eradication of Alzheimer’s disease and other dementias. The eVox System offers doctors the opportunity to implement early interventions to reduce risk of cognitive impairment, Alzheimer's, and other dementias by aiding doctors in diagnosis of memory loss and other cognitive disorders. 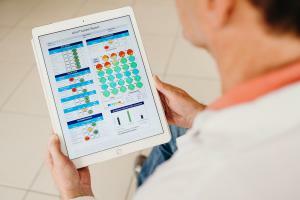 Historically, most providers have relied on self-report questionnaires and effort-based computerized testing for determining a diagnosis. But to understand the cause of memory loss, it is important to measure key biomarkers of the brain itself. Primary and specialty care physicians can use eVox to acquire these biomarkers, in-office, via a non-invasive procedure performed with minimal staff training and time. Doctors should use their professional judgment in determining when the eVox System is appropriate to aid in diagnosis. Evoke boasts an impressive portfolio, including an FDA cleared diagnostic device, a Veterans Health Administration FSS contract, well-established insurance reimbursement coding (5 CPT codes), a recently renewed Premier Group Purchase Organization contract, 12 patents awarded (9 Utility, 3 Design), delivery of over 400 eVox Systems to market, and ownership of nearly 50,000 patient brain scans to be used for training AI models. The 31st ROTH Conference is scheduled for March 17-19, 2019 at the Ritz Carlton, Laguna Niguel, in Orange County, CA. With close to 550 participating companies and over 4,700 attendees, the conference will feature presentations from public and private companies in a variety of sectors. Hosted by ROTH Capital Partners, an investment banking firm dedicated to the small-cap public market, the ROTH Conference has been ranked in the top 100 events in the U.S. for 5 consecutive years. 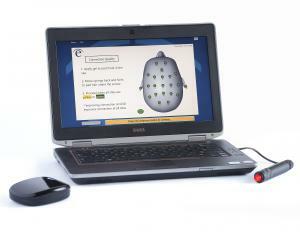 Evoke Neuroscience (www.evokeneuroscience.com) was formed in 2009 with the mission to improve diagnosis and treatment of cognitive disorders with objective, clinically meaningful, and easy-to-use products. Physicians use the eVox® System to acquire objective and stable biomarkers that may aid in the diagnosis of cognitive diseases such as dementia. Evoke was named one of the INC. 500/5000 fastest growing companies two years in a row.